Altho nominally 5,000# capacity, actual capacity is 4,650# at 24"
3-STAGE (TRIPLE) MAST WIT 188-IN. MAX. LIFT. 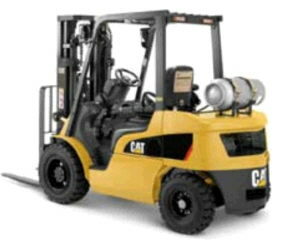 * Please call us for any questions on our forklift 5 000lb. propane rentals in Santa Barbara CA.